Founded in 2000 De Lacy is a team of professional consultants committed to exceeding the expectations of those with whom we work. Our agribusiness credentials are second to none. Largely agricultural graduates, eight of us are the offspring of farmers and six of us have worked in the agricultural supply trade as well as in farming. Our vacancy experience extends from graduate trainee to managing director, and from sales, through technical, marketing, operations and production to R & D managers. Our employer clients are nationwide throughout the UK and increasingly are spread across Europe and Africa. They range from SMEs, regional and national companies to Global Corporations. We have been awarded Preferred Supplier List status by a number of significant companies. 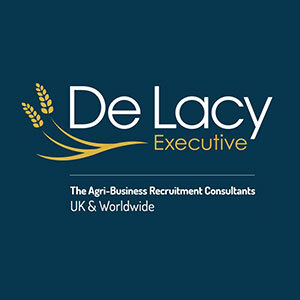 De Lacy Executive is approved as a member of the Recruitment and Employment Confederation, which oversees the UK’s recruitment industry (REC Membership Number: 00082047) and is registered with the UK Information Commissioner’s Office under the Data Protection Act. If you are looking to expand your business and are recruiting for your team or you want to progress your career within the broad Agri-Business Sector, simply want some confidential career advice, then please do give us a call!